Ali shakes his head and looks regretful. He does not know the name, only that it belongs to the ginger family, going by the leaves. I bend over one of the flower clusters and sniff. It’s lovely. 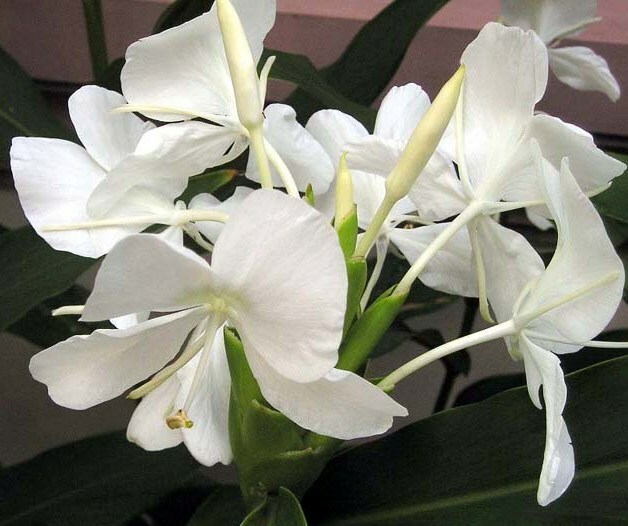 It’s potently fragrant. “How can you not smell it?” I ask, amazed. He shrugs fatalistically, saying that’s how God has made him, without hearing scents. “Not even vomit,” he adds. Have you ever been enchanted by a mystery flower?